Landmark Monuments has created some of the finest memorials in Northern Colorado. The granite and marble stonework is done by true artists. The staff at Landmark takes special care in working with you through the selection and design steps. 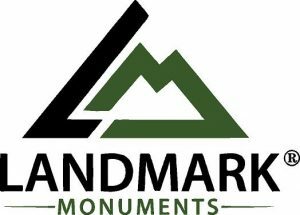 Landmark Monuments provides a wide variety of products and services, including custom monuments, headstones, memorial benches and bronze plaques. Landmark also carries vases in granite and marble. Our clients often tell us about their experience. “Just a note to tell you how pleased we are with our monument. We consider it a great tribute… thank you for making it so.” Free home appointments are available for your convenience. Visit the website to see a gallery of stonework and memorials.